High Performance, full bore construction, Anti-static design. 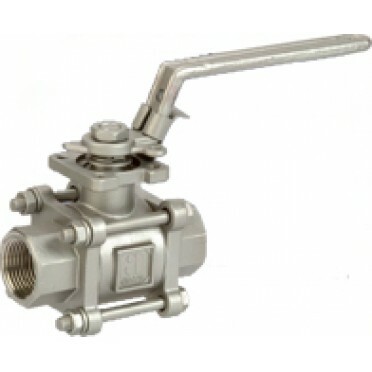 2 piece valves with solid design and 3 piece valves with body swing-out design for sturdy performance. Floating ball mechanism for tight shut-off at all pressures. Three layers of “V” design Chevron packing in the gland to block all passages and improve sealing. Unique sealing design reduces operating torque. Pyramidal and double sealing stem with stem seal provides optimum sealing even in rapid cycle operation. Blow-out proof stem for higher safety. Unique gland bush design offers equally distributed compressive force on the packing seals. Exclusive mounting pad design to enable easy interface with pneumatic or electrical rotary actuator. Lockable manual lever to avoid accidental operation. Features & Specification :2/2-Way Semi Pilot, Diaphragm Type, Solenoid ValvesNormally Closed, En.. Features & Specification :2/2-Way Motorized Control Valves with Electric Actuator for On-Off and.. Features & Specification :2/3-Way Motorised Control Valves with Electric ActuatorFor Mixing or D..